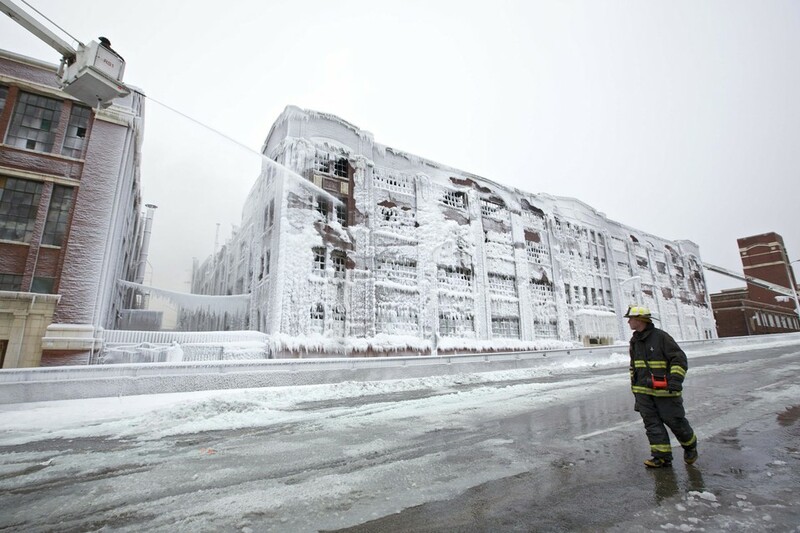 Recently I heard on the news that there was a fire in a warehouse in Chicago and that due to the cold the water used to extinguish the fire had frozen. After a little hunt around online I found several images of the ice covered warehouse and am in awe of the images. In Cornwall it hasn't got that cold, I know the rest of the country has experienced snow and the big freeze but none of the images of the uk's recent blast come anywhere close to the amazing images of this Chicago fire freeze.